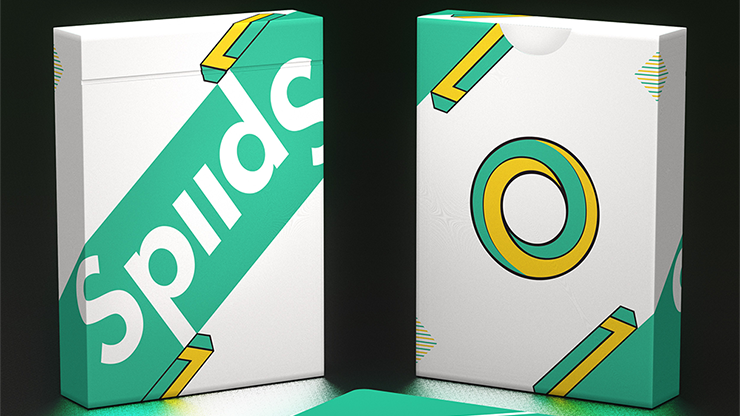 Spud Playing Cards (Green Edition) was designed with cardistry in mind. Whether you're doing fans, cuts, spreads, twirls, or aerials, your moves will be accentuated by the vibrant colors and design. Identical, non-standard faces keep everything consistent and reveal a stripe when fanned. Printed with Expert Playing Card Company's Stud finish, these cards feel as good as they look and handle like vintage Studs from the Ohio factory. You'll love the feel and handling of these cards!